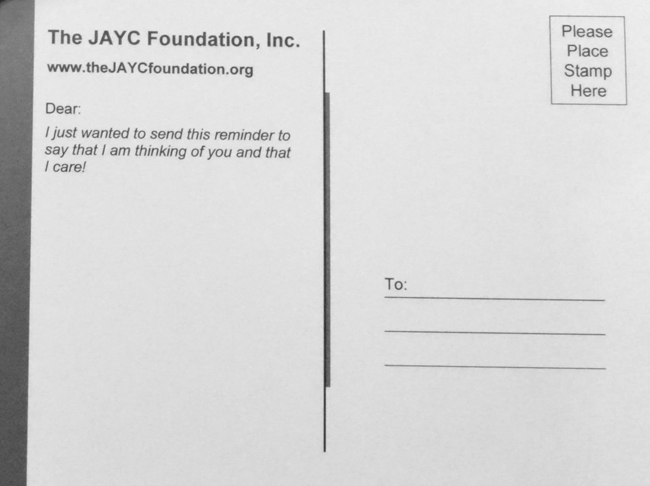 The JAYC Foundation's message is simple. "Just Ask Yourself to Care!" Modern technology and the internet have connected individuals more closely than ever before; however, these same breakthroughs have also pushed people apart and depersonalized the way in which we communicate. Think about it. When was the last time that you received a piece of mail? No, not an e-mail, but an actual piece of mail in your mailbox. Not junk mail either - just a personal letter that was handwritten by someone that genuinely cares about you. If you are anything like the average person, you cannot remember the last time that someone took the time and effort to send you a letter. Brighten someone's day by reminding them that you care. 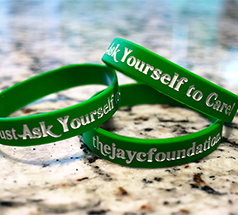 On one side, the "Just Ask Yourself to Care!" 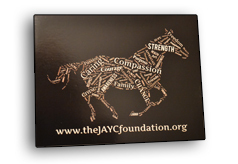 postcard features a white "The Words of The JAYC Foundation" horse on a solid black background. The other side says, "I just wanted to send this reminder to say that I am thinking of you and that I care!" There is also plenty of room to write your own personalized message. 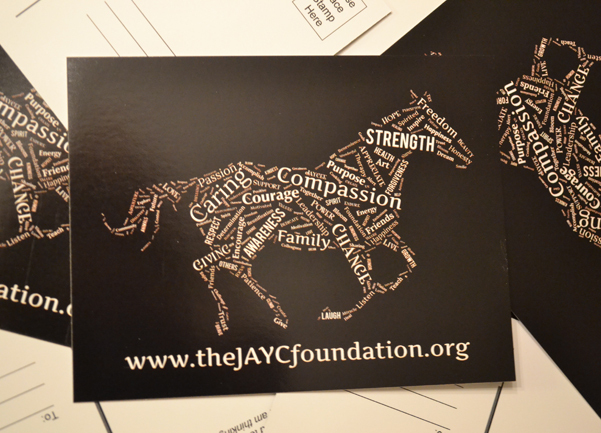 Postcards are available in packs of 5, 10, 15, and 20. Each postcard in the pack is identical. No postage is included. Each postcard is approximately 5.5" by 4.25" in size. Postcard packs ship for free.